Cystic Fibrosis is an invisible disease affecting children and young adults. At present, there is no cure. Kin Canada proudly supports Cystic Fibrosis Canada. 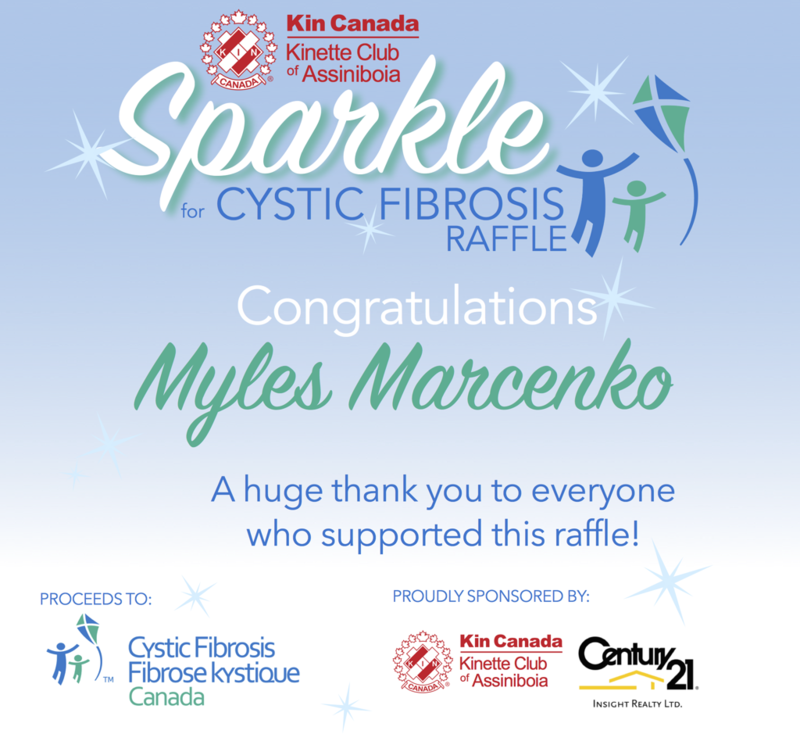 The Kinette Club of Assiniboia holds a raffle every spring with all proceeds donated to Cystic Fibrosis Canada. Some information courtesy of www.cysticfibrosis.ca.